United States, c. 1920. 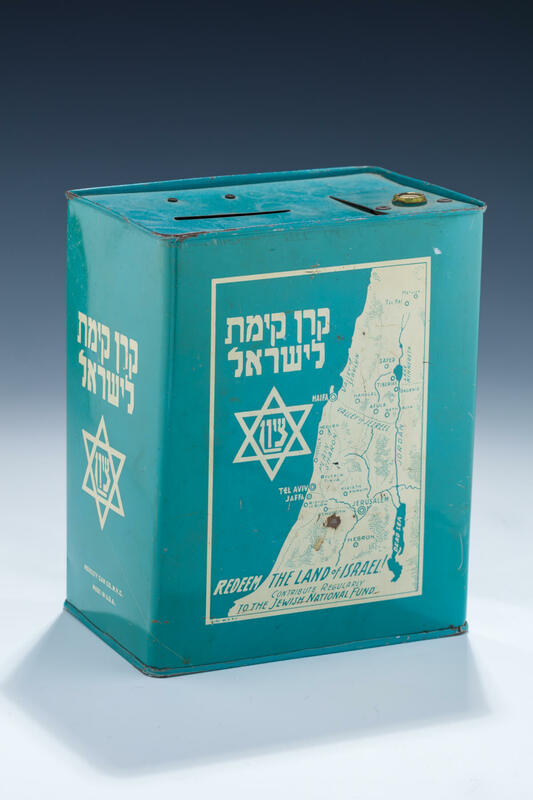 The front decorated with the upper portion of Israel, a Jewish star, and Keren Kayemet Leyisrael on one side and and Yiddish inscription on the back side with a handle. 6.7” x 3.5” x 5.2” wide.